Located at the southern tip of the Balkan Peninsula, Greece is one of the cradles of civilization. Originally settled by the Minoans in Crete, Greece has been a prosperous spot for traders throughout history. It also has been the source of much strategic advantage and conflict. During World War I, Greece fought against Turkey, and during World War II, Greece fought on the side of the Allies. Though 90% of the country’s Jewish population was killed, and its economy demolished by war, Greece was able to recover after WWII with the help of Marshall Plan loans and grants. Greece allied itself with the United States throughout the 1950s, creating tension with its pro-Soviet and communist neighbors. In 1967, a CIA-backed coup helped a Greek military junta come to power, and a secret NATO-sponsored army helped keep them in power. President Bill Clinton later apologized for the US’ role in interfering in Greece’s internal affairs. In 1975, Greece adopted a democratic constitution and elected Andreas Papandreou as prime minister of a center-left government. In the past few decades, Greece has rejoined NATO, joined the European Union, and adopted the euro as its currency. Lay of the Land: In southeastern Europe, Greece is located at the southern tip of the Balkan Peninsula. The rugged hills of the Peloponnesus in the south are joined to the Greek mainland by the Isthmus of Corinth. The mainland also is mountainous but is relieved by plains in the northeast and fertile valleys between ranges. Languages: Greek (official) 93.3%, Romanian (Macedo, Megleno) 1.9%, Pontic 1.9%, Slavic 1.7%, Albanian (Arvanitika, Tosk) 1.5%, Turkish 1.2%, Romani (Balkan, Vlax, Greek) 0.4%, Bulgarian 0.3%, Tsakonian 0.01%. Greece was originally settled by the Minoans in Crete from 2700 BC to 1450 BC. The Early Hellenic period, based on the Greek mainland, overlapped with this civilization, lasting from 2800 BC to 2100 BC. The early Greeks were largely traders, using their country’s natural resources, such as timber. Many traders went to Cyprus, Egypt and the Aegean Islands. Mycenaeans from mainland Greece invaded in 1400 BC, ending the Minoan civilization. This, in conjunction with earthquakes and accompanying tidal waves, affected the growing of crops for many years to come, causing widespread famine. The Mycenaeans built what became known as Bronze Age Greece and brought many developments to the country before its collapse in 1100 BC. Also during this time, the Greeks conquered Crete, extending their control. After 1100, Greek civilization entered a dark age, during which many Greek cities were sacked, and the Dorians, another group of Greek people, exerted their control. The Hellenistic period followed and was characterized by the Persian Wars of 500-448 BC. During this time, Ionian Greek cities revolted against the Persian Empire. After the wars, to prevent further attacks from Persia, Athens joined the Delian League in 477 BC. This allowed various cities to contribute resources to a common army, and eventually, the Delian League became known as the Athenian Empire. This Athenian Empire also fought against the Peloponnesian League, comprising Sparta and its allies, while the Persian Wars were ongoing. In 447 BC, both sides signed a peace treaty. But this lasted only until 431 BC, when the Peloponnesian War broke out. This war involved a dispute over Corcyra and Epidamnus. After several years of bitter fighting, Athens as forced to surrender in 404 BC, ending the Peloponnesian War. Sparta’s rule continued to bring unrest to the area. Sparta ceded Ionia and Cyprus to the Persian Empire at the end of the Corinthian War (395-387 BC). But in 371 BC, the Thebes crushed Sparta. In time, though, Theban influence gave way to Macedon rule, which was highlighted by the conquests of Alexander the Great. The Ancient Greek period came to an end with the death of Alexander in 323 BC. In 267 BC, Ptolemy II persuaded the leaders of the Greek cities to revolt against Macedon. The Chremonidean War led to Athens losing its independence and marked the end of the city as a political force. In 146 BC, the Greek peninsula and islands were annexed by Rome. The Romans divided Greece into four smaller republics, and in 146 BC, Macedonia officially became a Roman province. When the Roman Empire fell, Greece came under control of the Byzantine Empire. Under Byzantine rule, Greece enjoyed sustained growth, especially throughout the 11th and 12th centuries. Increased trading attracted the Venetians and traders from other countries. This time also marked the Golden Age of Byzantine art in Greece, as many Greeks began to move to the cities. In 1261, Greece was divided between the former Greek Byzantine Comnenos dynasty and the Palaiologos dynasty. The Ottomans brought an end of the Greek Byzantine Empire in 1453. In October 1827, the Battle of Navarino was fought, marking the beginning of the end of Ottoman rule in Greece. Much of the Greek intelligentsia immigrated to Western Europe, while others moved from the plains in the peninsula to the mountains. Though the Greeks declared their independence from the Ottomans, they did not achieve it until 1829. Ioannis Kapodistrias became Greek’s first president of the new republic. But with the help of several European countries, Greece was turned into a monarchy. Otto, from Bavaria, was Greece’s first king, followed by George I from Denmark. During the 19th and 20th centuries, Greece fought a series of wars with the Ottomans to enlarge its boundaries. The Balkan Wars of 1912-1913 awarded Epirus, southern Macedonia, Crete and the Aegean Islands to Greece. During World War I, Greece fought against Turkey and the other Central Powers. After the war, parts of Asia Minor were awarded to Greece, including the city of Smyrna. Turkish nationalists overthrew the Ottoman government, and quickly defeated Greek troops. As a result, hundreds of thousands of Muslims then living in the Greek state returned to Turkey as over one million Greeks from Turkey returned to Greece. During World War II, Greece fought on the side of the Allies. Greek forces repelled Italian invaders who came into the country via Albania on October 28, 1940. With Italy needing help, Germany’s Adolph Hitler launched the Battle of Greece. Troops from Germany, Bulgaria and Italy invaded Greece via Yugoslavia and defeated Greek and coalition troops. On May 20, 1941, the Germans tried to seize Crete for its strategic advantage in the Mediterranean. They faced heavy resistance, delaying the Nazi assault of Russia later that year. The Nazis occupied Greece, and thousands of Greeks died as a result of combat, concentration camps, or starvation. The majority of Greece’s Jewish population was murdered (as high as 90%), and the country’s economy was devastated. As the Soviet Army began to attack Romania in August 1944, German forces in Greece withdrew to avoid being cut off. The German occupation of Greece ended by early 1945. Between 1944 and 1949, a civil war broke out in Greece, with the Greek government forces being supported by the United Kingdom at first, and later by the United States and the Democratic Army of Greece, the military branch of the Greek communist party. Ultimately, the Greek government was victorious. It also helped to determine the balance of power in the Aegean region for the duration of the Cold War. Greece entered into an alliance with the United States and entered NATO in 1952. This strained relations with Greece’s closest neighbors, some of which were pro-Soviet or neutral. During the 1950s and 1960s, Greece developed rapidly. Some of this was due to Marshall Plan grants and loans from the US, and the rapid growth of tourism. In 1967, the Greek military sized power in a military coup and overthrew the government. They established the Greek military junta of 1967-1974, which became known as the Regime of the Colonels. The Central Intelligence Agency was involved in the coup, and President Bill Clinton later apologized for the US’ role in this action. Also taking part was a secret army network called LOK, set up by NATO as a guerilla army that would stay behind to clean up after the coup. In 1973, the Greek monarchy was abolished, and later another coup followed, bringing Colonel Ioannides to power. In 1974 Turkey invaded Cyprus, which drew Greece into the conflict as the two countries fought for control of the island. The war, along with an uprising at the Athens Polytechnic, helped bring the downfall of the military regime in Greece. Konstantin Karamanlis returned from Paris and became interim prime minister on July 23, 1974. He was later re-elected for two more terms as the head of the country’s conservative party. On August 14, 1974, Greece withdrew its forces from the integrated military structure of NATO, in protest of the Turkish occupation of northern Cyprus. In 1975, Greece adopted a democratic constitution, when King Constantine II was deposed. Another exiled politician, Andreas Papandreou, came back to form the country’s PASOK party, which won the elections in 1981 and continued to dominate for almost two decades. In the past few decades, Greece’s economy has stabilized, and prosperity has returned. In 1980, Greece rejoined NATO, and in 1981, the country joined the European Union. Greece adopted the euro as its currency in 2001. Though tensions between Greece and Turkey exist, two large earthquakes (one in Turkey and one in Greece) have served to thaw relations. In 2004, the Summer Olympics and Paralympics were held in Athens, leaving behind an extensive legacy of new roads, buildings and modern public transportation. In December 2008, more than a week of riots broke out after police killed a teenager. Thousands of college-age students took to the streets, demanding changes in the government. Polls showed the conservative government’s popularity waning. The first Greek in America was the sailor Don Teodoro, who sailed with the Spanish explorer Panfilio de Narvaez to America in 1528. In 1768, Maria Rubini and her husband recruited 450 Greeks and other southern Europeans to establish the colony of New Smyrna in Florida, but within a year the settlement failed and was disbanded. By 1860 only 328 Greeks were living in the US, and the population remained small until immigration picked up in the 1880s due to poor economic conditions in Greece. Most of the Greeks arriving in the US before 1930 were young, single men, about 30% of whom eventually returned to Greece after saving enough money. The restrictive quota-based Immigration Act of 1924 severely curtailed immigration, until heavy petitioning allowed 10,883 Greeks to immigrate between 1925-1929. Few Greeks came to America until the Refugee act of 1953 allowed another 17,000 Greeks displaced by the war to settle in the US. The Immigration Act of 1965 abolished the racist quota system, and a few thousand Greeks have immigrated annually since the borders became more porous. Early Greek immigrants congregated in the industrial centers in the northeast and Midwest, and formed a sizable community in the Astoria section of the borough of Queens in New York City. A number of Greeks established a community in Tarpon Springs, Florida, and made their living by sponge diving. Today, the states that claim the largest Greek populations are New York, California, Illinois, Massachusetts, and Florida. Since 1946, the United States has provided more than $11.1 billion in economic and security assistance to Greece. Though these economic programs were phased out in 1962, military and financial assistance continued until the early 1990s. Following World War II, Greece allied itself with the United States, which created tension between Greece and its pro-soviet and communist neighbors. This paved the way for Greece to enter the world community as a member of NATO in 1952. In 1953, Greece and the United States signed a cooperative defense agreement that allowed American military bases to be built on Greek soil. In the 1990s, Greece closed three of these four military bases, but the current defense cooperation agreement allows for the operation of a naval support facility by the US. This allows the US to exploit the strategic deep-water port and airfield at Souda Bay in Crete. In 1967, the US backed a coup in Greece, using the CIA and a secret NATO “stay behind” army to overthrow the standing government. United States involvement in Greece led to the establishment of the Greek military junta, which ruled from 1967-1974. This became known as the Regime of the Colonels and was designed to stop communism from spreading in the region. President Bill Clinton apologized in 1999 for the US’ role in this action. An estimated three million Americans resident in the United States claim Greek descent. This large, well-organized community cultivates close political and cultural ties with Greece. There are approximately 90,000 to 100,000 American Citizens resident in Greece. Greece has the seventh-largest population of US Social Security beneficiaries in the world. Jennifer Aniston is a Golden Globe and Emmy-winning actress best known for her role as Rachel Green on the NBC show Friends. Her father is Greek and her mother is of Italian-Scottish descent. Alexander Payneis an Academy Award-winning director and screenwriter of Greek descent. He was nominated of an Academy Award for both his work in screenwriting and directing of the movie Sideways, and won for Best Writing, Adapted Screenplay. Andreas Katsulas is an actor of Greek descent best known for his portrayal of Ambassador G'Kar in V series Babylon 5 and as the villain Sykes in the film The Fugitive. Billy Zane is best known for his role as Caledon Hockley in Titanic, Hughie Warriner in Dead Calm and John Justice Wheeler in Twin Peaks. He is of Greek descent. Chris Sarandon is the son of Greek immigrants best known for his role as Prince Humperdink in The Princess Bride . Constantine Maroulis was the sixth place finalist on Season 4 of American Idol and was nominated for the Tony Award for Best Performance by a Leading Actor in a Musical for his role in Rock of Ages. Both his maternal and paternal grandparents are from Greece. Demetri Martin is the son of a Greek Orthodox priest and is currently the host of his own show on Comedy Central, Important Things with Demetri Martin. Elia Kazan was an award-winning film and theater producer, director, screenwriter novelist, and co-founder of the Actor's Studio. Both his parents immigrated from Greece. Elizabeth Perkins is best known for her Emmy-nominated role in Weeds. Her paternal grandparents immigrated from Greece. Hermes Pan was Fred Astaire's choreographic collaborator in a number of musicals. He was of Irish-Greek descent. John Cassavetes was born to Greek immigrant parents. He was considered a pioneer of independent film in the 1950-1970s. Melina Kanakaredes is a Daytime Emmy-nominated Actress best known for playing Detective Stella Bonasera in CSI: NY, and Doctor Sydney Hansen in Providence. She is second-generation Greek-American. Pete Sampras is a former World No. 1 tennis player, winning 14 Grand Slam men's single titles. His mother immigrated from Greece and his father was Greek-Jewish. Al Campanis was a teammate of Jackie Robinson and became the general manager of the Los Angeles Dodgers from 1968 to 1987 when he was fired for making racist remarks on ABC news program Nightline. Alex Karras, nicknamed “the mad duck” was a football player and professional wrestler best known for playing with the Detroit Lions. He also starred on the ABC sitcom Webster. He is the son of a Greek immigrant father and Canadian mother. Alexi Lalas was a defender for the US National Soccer Team and was elected to the National Soccer Hall of Fame in 2006. His father was Greek. Bob Costas is a sportscaster for NBC of Irish and Greek American descent. Garo Yepremian was a football placekicker in the NFL who famously said the phrase “I keek a touchdown.” He was born in Cyprus to Armenian parents and moved to the US in hopes of playing college football. Jimmy “the Greek” Snyder, born Dimetrios Georgios Synodinos, was an American sports commentator and Las Vegas bookie of Greek descent. Kurt Rambis was a professional basketball player, former Lakers assistant coach and current head coach of the Minnesota Timberwolves. He is of Greek descent. The Andrews Sisters were a close-harmony singing group consisting of sisters LaVerne Sophia Andrews, Maxene Angelyn Andrews and Patricia Marie Andrews. Their father was a Greek immigrants and their mother was Norwegian American. Maria Callas was a renowned opera singer whose musical and dramatic talents led her to be called La Divina. Although she was born in Mahattan to Greek immigrant parents she moved back to Greece with her mother when she was a child. Tommy Lee is the drummer and founding member of the band “Motley Crue.” He was born in Greece but moved to California when he was a year old. Joseph Pilates was the creator of the Pilates method of physical fitness and was of Greek and German ancestry. Tom Carvel was the founder of the Carvel ice cream brand and is often considered the father of modern franchising in the US. He was born in Greece but moved to the US during his childhood. Zoe Cruz is a Greek-born American senior banking executive who was listed in the 2006 list of Forbes' 100 Most Powerful Women in the World. She was considered the highest paid and most powerful woman on Wall Street. Panos Zavos is a reproductive specialist and has made significant contributions to the study of human cloning and stem-cell research. Arianna Huffington is best known as the co-founder of the news website The Huffington Post. She is a syndicated columnist and author. She was born in Greece but moved to the US in 1980. After the September 11, 2001, terrorist attacks, Greece offered political support for the United States efforts to combat terrorism. The US has been allowed to use Greek airspace and military assets in support of its counterterrorism efforts. In the summer of 2002, Greek authorities captured numerous suspected members of the terrorist group “November 17.” In 2003, 15 of these members were found guilty of more than 2,500 crimes, including homicide. Two defendants were eventually acquitted, and 13 others received multiple life sentences. Under Greek law, however, two of the convicted prisoners were eligible for parole almost immediately. On January 12, 2007, terrorists fired a rocket-propelled grenade through the front window of the US Embassy in Greece. A group called the Revolutionary Struggle later claimed responsibility. Revolutionary Struggle also claimed responsibility for attempting to assassinate the minister of culture and former Minister of Public Order Georgos Voulgarakis in a bomb blast in May 2006. Before the 2004 Summer Olympic Games in Athens, Greek and American diplomatic, law enforcement and intelligence agencies worked together to ensure security for the games. In January 2006, the United States and Greece signed protocols updating treaties covering extradition and mutual legal assistance. In the 2000 census, 1,153,295 people in the US identified themselves as Greek. In 2006, 358,624 Americans visited Greece. The number of Americans traveling to Greece remained steady around 150,000 from 2002-2004, and nearly doubled in 2005. In 2006, 49,923 Greeks visited America. Although tourism declined from 2002-2003 (from 44,839-40,839), the number of Greeks coming to America has grown gradually since then. From 2003 to 2008, US imports from Greece were dominated by drilling and oil field equipment and platforms, which increased from $41.4 million to $267.3 million, but dropped to $227.3 million in 2008. Other imports on the rise included other petroleum products, moving up from $78.6 million to $113 million; dairy products and eggs, rising from $30.3 million to $51.3 million, but falling to $35.3 million in 2008; vegetables and preparations, increasing from $67.5 million to $96.6 million; and tobacco, waxes, and nonfood oils, up from $25.9 million to $32.2 million. During the same period, US imports from Greece on the decline included fuel oil, which decreased from $88.9 million to $10.2 million in 2007, then no fuel oil was imported from Greece in 2008; stone, sand, cement, and lime, moving down from $113.4 million to $34.8 million; bauxite and aluminum, falling from $85.1 million to $41.9 million; and iron and steel products (except advanced manufactures), decreasing from $20.6 million to $1.8 million. From 2003 to 2007, US exports to Greece were led by passenger cars (new and used), which increased from $53.9 million to $96.5 million; In 2008, however, US exports were led by fuel oil, which increased from $2.2 million to $227.6 million. From 2003 to 2008, US exports to Greece on the rise included medicinal equipment, moving up from $82.2 million to $95.6 million: steelmaking materials, rising from $51.8 million to $116.5 million; copper, rising from $800 thousand to $44.4 million, civilian aircraft, engines, equipment and parts moving up from $17.8 million to 192.3 and nuts, increasing from $37.2 million to $51.7 million. During the same period, US exports on the decline included generators and accessories, falling from $18.3 million to $5.4 million, but rising to $30 million in 2008.Passenger cars (new and used), which led US exports in 2007, dropped to $60.9 million in 2008; and unmanufactured tobacco dropped from $40.7 million in 2007 to $14.8 million. US aid to Greece is wholly dedicated to International Military Education and Training. In 2007 the US gave $558,000, $512,000 in 2008, and the 2009 budget request will allocate $100,000 in aid to Greece. The US sold $552.8 million of defense articles and services to Greece in 2007. In July 2004, NATO sent 400 US Special Forces troops to Greece in the event of a terrorist attack at the Summer Olympics. Greek officials had requested more security assistance, but the Bush administration put additional pressure to make sure security was heightened. The plan was considered controversial because many in Greece were opposed to the US invasion of Iraq in 2003. The US also agreed to send 100-200 FBI agents to be embedded with the Greek police. The FBI promised its agents would not carry weapons, but merely serve in an advisory capacity. Police forces abused some persons, particularly immigrants and Roma. Police were more likely to abuse Roma than other minority groups but immigrants, including Albanians, also accused police of abuse. Police corruption continued to be a problem. While a police anticorruption unit investigated alleged abuses, human rights and anti-trafficking groups asserted that anticorruption efforts needed to be given higher priority. The ombudsman for human rights and NGOs noted that the Bureau of Internal Affairs’ investigations determined culpability in very few cases and that the penalties handed down were disproportionately lenient. “Police and prosecutors regularlyconducted raids and searches of Romani neighborhoods, frequently entering Romani homes without authorization in search of criminal suspects, drugs, and weapons.” Local authorities threatened to evict, and evicted Roma from camps and tent dwellings during the year, often in violation of the law. Prison conditions remained harsh due to continued overcrowding and outdated facilities. There were reports of prison or detention center guards mistreating prisoners. Observers reported that the judiciary was subject to influence. A number of judges were under investigation or had been dismissed on corruption-related charges. Officials sometimes engaged in corrupt practices with impunity. The World Bank’s worldwide governance indicators reflect that corruption was a serious problem. The law provides for equal pay for equal work, but according to official 2005 statistics, women’s pay amounted to 81 percent of men’s pay. Violence against children occurred, particularly against street children. Government-run institutions were understaffed, and NGOs complained that they did not have available positions for all children in need of alternative placement. Romani children continued to face social exclusion and lack of social services. Note: A nomination of Mar 8, 1867 was not confirmed by the Senate. Note: Commissioned during a recess of the Senate; recommissioned after confirmation on Dec 10, 1873. Note: Commissioned during a recess of the Senate; recommissioned after confirmation on Jan 13, 1886. Also accredited to Romania and Serbia; resident at Athens. Note: Commissioned during a recess of the Senate; recommissioned after confirmation on Dec 23, 1891. Note: Also accredited to Romania and Serbia; resident at Athens. Note: Took oath of office under this appointment, but no record has been found of accreditation as Envoy Extraordinary and Minister Plenipotentiary/Consul General. Also accredited to Romania and Serbia; resident at Athens. Note: Also accredited to Romani and Serbia; resident at Athens. Note: Commissioned during a recess of the Senate; recommissioned after confirmation on Dec 14, 1899. Also accredited to Romania and Serbia; resident at Athens. Note: Commissioned during a recess of the Senate. Commissioned also to Romania and Serbia; declined appointment. Note: Commissioned during a recess of the Senate; recommissioned as Envoy Extraordinary and Minister Plenipotentiary to Greece, Romania, and Serbia after confirmation on Dec 8, 1902; resident at Athens. Also accredited to Romania and Serbia; resident at Athens. Note: Commissioned during a recess of the Senate; recommissioned as Envoy Extraordinary and Minister Plenipotentiary to Greece, Romania, and Serbia, and Diplomatic Agent in Bulgaria. Recommissioned after confirmation on Nov 16, 1903; resident at Athens. Note: Commissioned as Envoy Extraordinary and Minister Plenipotentiary to Greece and Montenegro and Diplomatic Agent in Bulgaria; resident at Athens. Note: Commissioned during a recess of the Senate; recommissioned after confirmation on Dec 16, 1907. Also accredited to Montenegro; resident at Athens. Termination of Mission: Presented recall on or shortly before Sep 30, 1912. Note: Also accredited to Montenegro; resident at Athens. Note: Also accredited to Montenegro; resident Athens. Note: Commissioned during a recess of the Senate. Commissioned also to Montenegro, but did not serve in that country. Note: During 1921–1924 each of the following officers served as Chargé d’Affaires ad interim for more than a year: Jefferson Caffery, Feb 1922–May 1923; Ray Atherton, May 1923–Jun 1924. Note: Reaccredited on restoration of the monarchy. Presented new credentials Jan 4, 1936. Note: Leslie E. Reed was serving as Chargé d’Affaires ad interim when the Legation in Athens was closed, Jul 14, 1941. Note: Served near the Government of Greece established in England; commissioned also to Belgium, Czechoslovakia, Luxembourg, the Netherlands, Norway, Poland, and Yugoslavia; resident at London. Note: Served near the Government of Greece established in Egypt; also accredited to Egypt and Saudi Arabia; resident at Cairo. Note: Served near the Government of Greece established in Egypt; also accredited to Yugoslavia; resident first at Cairo; transferred the Embassy to Athens, Oct 27, 1944. The office of the Embassy at Cairo was closed, Nov 8, 1944. Note: Commissioned during a recess of the Senate; recommissioned after confirmation on Jan 30, 1962. Note: Did not serve under this appointment. Hawthorne Q. Mills served as Chargé d’Affaires ad interim Jul 1977–Mar 1978. Note: Nomination not acted upon by the Senate; later declined a recess appointment. Greece's Ambassador to the U.S. The Mediterranean nation of Greece, reeling from the effects of economic collapse and severe austerity imposed from without, sent a new ambassador to Washington, DC, last fall who has significant experience in the United States. Christos P. Panagopoulos, who presented his credentials to President Obama on September 19, 2012, succeeded Vassilis Kaskarelis, who had served since June 2009. Born in Kalamata, Greece, in 1954, Panagopoulos earned a law degree at the University of Athens and a Master’s Degree in International Law and International Relations at the Fletcher School of Law and Diplomacy at Tufts University. He served in the Greek Navy in the Office of the Admiral, Chief of the Hellenic Fleet. He was also a member of Greece's junior national water polo team. Panagopoulos joined the Greek Foreign Service in 1978 with service at the Greek Embassy in Ankara, Turkey, an historic rival of Greece. Over the course of a 35-year career at the Greek Foreign Ministry, Panagopoulos has served as head of the European Integration Directorate and head of the Directorate for Balkan Affairs. He is no stranger to the U.S., having served in Boston as consul from 1983 to 1985 and as consul general there until 1989, and as consul general in Los Angeles from September 1994 to 1999. Panagopoulos served as ambassador of Greece to Cyprus from 2000 to 2005, and as ambassador to Serbia from July 2005 to late 2008. Back in Athens, he was director of the Diplomatic Cabinet of the Foreign Minister, and of the Alternate Minister, from 2008 to 2012. Greece's Embassy Web Site in the U.S. The next U.S. ambassador to Greece—a nation currently being driven by creditor-imposed austerity to levels of under-development and poverty not seen in Europe for many years—will be a Middle East expert who started his career as a journalist. David D. Pearce, who has been serving as both principal deputy in the Office of the Special Representative for Afghanistan and Pakistan and as a deputy assistant secretary of state in the Bureau of South and Central Asian Affairs since July 2012, would succeed Daniel Bennett, who has served in Athens since 2010. Born in Portland, Maine, on June 9, 1950, Pearce grew up in Falmouth and graduated Cheverus High School in 1968. Pearce earned his B.A. in Classics at Bowdoin College in 1972 and an M.A. in Journalism at Ohio State University a year later. Following graduation, Pearce worked as a reporter and foreign correspondent from 1973 to 1979, for the Associated Press in Ohio, the Rome Daily American in Italy, United Press International in Brussels, Belgium, Lisbon, Portugal, and Beirut, Lebanon, where he met and married his wife, Leyla Baroody. He then moved to The Washington Post, where he worked as a copy editor on both the foreign and metro desks, and from 1980 to 1981 was a writer-editor in the book service of the National Geographic Society. Joining the State Department in January 1982, Pearce served his first overseas posting as vice consul and political officer in Riyadh, Saudi Arabia. He then served as a watch officer in the State Department Operations Center from 1984 to 1985, and as a country desk officer for Greece from 1985 to 1987. After studying Arabic at the Foreign Service Institute field school in Tunis, Tunisia, Pearce served as chief of the political section at the U.S. Embassy in Kuwait and, during the Gulf War, as a liaison officer with the Kuwaiti government-in-exile. Pearce returned to Washington in 1991 to serve as a special assistant to the under secretary of state for political affairs, and took a sabbatical leave from 1992 to 1993 to write a book on diplomacy and media entitled Wary Partners: Diplomats and the Media, published in 1994. Upon his return to work, Pearce served as consul general in Dubai, UAE, from 1994 to 1997, and as deputy chief of mission at the embassy in Damascus, Syria, from 1997 to 2001. Back in DC, he served as director of the State Department’s Office of Northern Gulf Affairs, with responsibility for Iraq and Iran from September 2001 to July 2003, including a stint with the Coalition Provisional Authority in Baghdad from May to June 2003. Pearce then served four straight overseas assignments, as chief of mission and consul general at the Consulate General in Jerusalem, Israel, from 2003 to 2005; as minister counselor for political affairs at the embassy in Rome from 2005-2008 (where he also made excursion tours to Iraq as a senior advisor to Ambassador Ryan Crocker); as ambassador to Algeria from 2008 to 2011; and as assistant chief of mission at the embassy in Kabul, Afghanistan, from 2011 to July 2012. Pearce’s stint in Algeria coincided with increased cooperation between the Algerian government and the U.S. government in the battle against al-Qaeda in the Islamic Maghreb, a partnership that included providing the Algerians with military radios and fingerprint identification kits, not to mention Boeing-made airplanes and gas-powered turbines. In exchange, the U.S. imported billions of dollars worth of Algerian oil and natural gas. Pearce speaks Arabic, French, Italian and some Farsi. David Pearce married Leyla Baroody of Beirut, Lebanon, in 1978. The couple has two children. 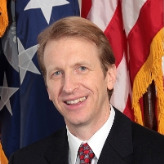 Daniel V. Speckhard has served as US Ambassador to Greece since November 7, 2007. Speckhard has a bachelor’s degree from the University of Wisconsin as well as a master’s degree in public policy and administration and a master’s degree in economics. From 1981 to 1990, Speckhard’s assignments included positions in the International Affairs Division of the Office of Management and Budget, the US Agency for International Development, staff member in the US Senate, and in state and local government. From 1990 to 1993, he served as an advisor and then director of policy and resources for the Deputy Secretary of State, coordinating and overseeing foreign aid funding. From 1993 to 1997, he was a deputy to the Ambassador-at-Large for the New Independent States at the State Department in Washington and was responsible for a broad range of political, security and economic issues facing large parts of the former Soviet Union. As US Ambassador to Belarus from 1997 to 2000, Speckhard worked closely with European officials in promoting democratic reform, human rights and institutional development. From 2000 to 2003, he was NATO’s Deputy Assistant Secretary General for Political Affairs, covering political relations with the countries of Eastern Europe, the Balkans, the former Soviet Union, and the Mediterranean. From 2003 to 2005, Speckhard served as director of policy planning responsible for advising and assisting the secretary general, senior NATO management, and the council in addressing strategic issues facing the alliance. His last posting was as the deputy chief of mission at US Embassy Baghdad, following a year as director of the Iraq Reconstruction Management Office.